Biography: Mercy Mission India is located in Mandapeta Village, a small village surrounded by 15 to 20 hamlets. 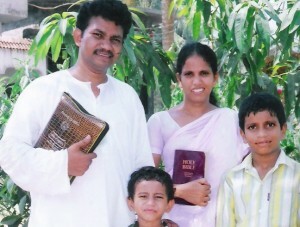 Even with little income, Ravi and Grace manage to care for many orphans. They also take the gospel to the unreached tribes and those in the Hindu religion. Ravi and Grace also minister in Mercy Gospel Church, where Grace is the children's pastor and Ravi teaches and twice a week. He visits door to door and prays for the villagers. Strengths: Ravi has the gift of seeing many he prays for healed. Ravi and Grace have tender hearts for those in need.